Our vacation home is situated in absolute isolation on a 10.000 m² spacious property, directly on the Kyll River, one of the most reknowned trout waters in Germany. It easily accomodates 12 to 14 adults, thereby suitable for clubs, hiking groups, short holidays with friends etc. Furnished with loving care, cosy and snug. 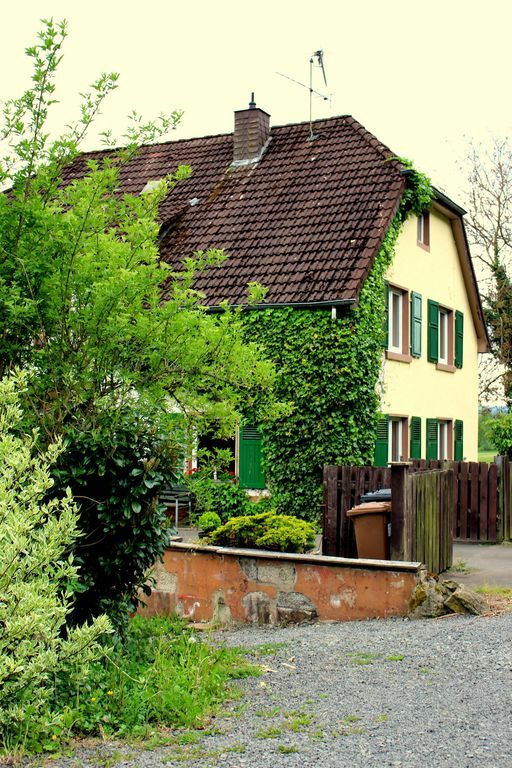 Our house lies in the heart of the Volcanic Eifel in the picturesque Kyll Valley, a natural and charming highlands landscape with typical volcanic rock formations and striking testimonies to the turbulent history of the earth and its formation. Angler, hikers, and nature lovers will find optimal prerequisites here for a relaxing yet active holiday any season of the year.